Wall Street is now calling the shots at the number-two US automaker. Okay, if you go by market cap, Ford isn’t number two. It’s number three, depending on what Tesla is doing (at $50-billionish, there are days when Tesla is bigger than General Motors.). And that’s the problem. 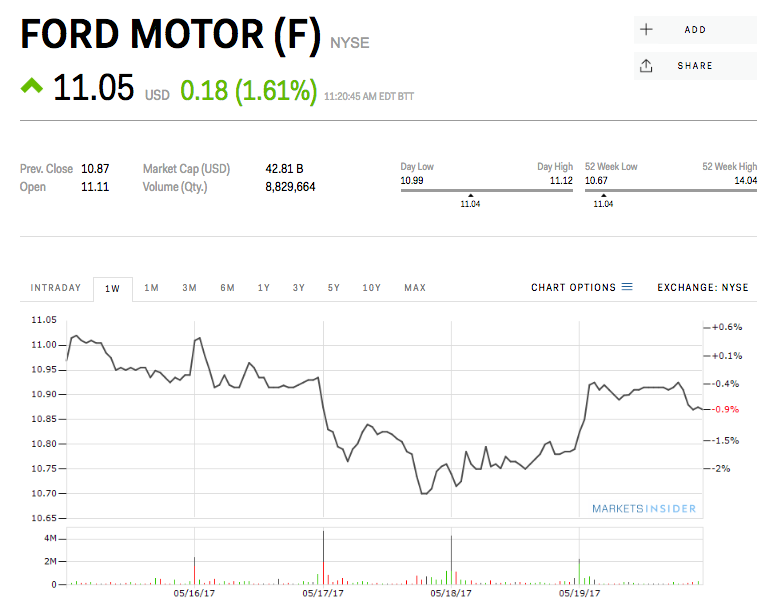 The resignation of Mark Fields and his replacement with Jim Hackett, who had been running Ford’s Smart Mobility initiative, is a signal that the company and the Ford family members who control it want to reverse a stock-price slide of over 30% during the past three years.